Unfortunately, due to the continued abuse of our free samples service by websites that scour the internet for ‘freebies’, our free sample offer system is vetting all enquiries. Having been listed on several websites which promote hunting and claiming of free samples, our feeling is that many of the 500+ enquiries that we received in a 24 hr period are just claiming free samples for the fun of it. Therefore, any sample request that is not supported by an authentic business name and address will not be sent. We will also look at other details such as where you saw the offer. We know where we advertise. Potliners are not for domestic use. The product is designed and marketed for use by the professional caterer using Bain Marie / Gastronorm pots. We will not be sending samples to ‘sample hunters’ for them to display as a trophy! The free sample offer is still available to professional caterers. However, These ‘free samples’ websites have slowed the process of sending samples as we need to vet every application. Potliners are well established and widely used in the Fish and Chip trade. But how else can they be used? It’s simple really,..Anyone using a Bain Marie to store hot or cold products can benefit from using Potliners. Obviously other food types can use Potliners, Indian, Chinese, and any other type of ethnic foods. However, at trade shows we have been made aware of other uses that we previously had not known about. 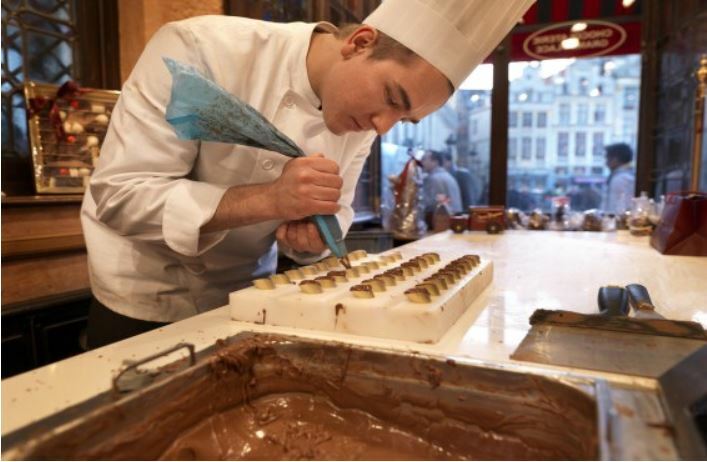 We have spoken to Chocolatiers who have been using Potliners to line the pans containing chocolate product. Its ideal for dipping. Apparently a pot layered with chocolate will challenge dried curry or peas to be the hardest to clean. We are also told that the Potliner reduces waste as they can be removed and squeezed out to get the maximum yield from the chocolate. We like this as chocolate should NEVER be wasted! Potliners have just passed a successful trial period with a chain of Cinema’s. The liners are used in the kiosk where they prepare Cheesy Nacho’s. This goes to show that people are finding new ways to use Potliners all the time. 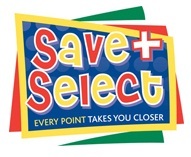 Easy Bags Ltd are proud to announce that we are now part of the ‘Save & Select’ scheme with the Q Partnership. If you are a customer of VA Whitley, Friars Pride, Doubles or Henry Colbeck you will already know about their Customer Loyalty scheme. Customers receive points on items bought from these wholesalers and can redeem them at the end of the year. For full details on the points allocated to Potliners from these Wholesalers please contact your representative or sales team.